Do you like a To Do List? Do you love to write it all out and then merrily go along ticking things off? I do. And hands up who has added something to a list that they have already done just so they can tick it off? That would be me also! But To Do Lists, efficient and satisfying as they are, are usually just a long list of chores, tasks and thins to be got through as part of work, running a business or a household, organising an event or a holiday. there’s not a HUGE amount of joy in them even though getting to the end of the list can be very joyful. So why not have a Could Do List this summer? 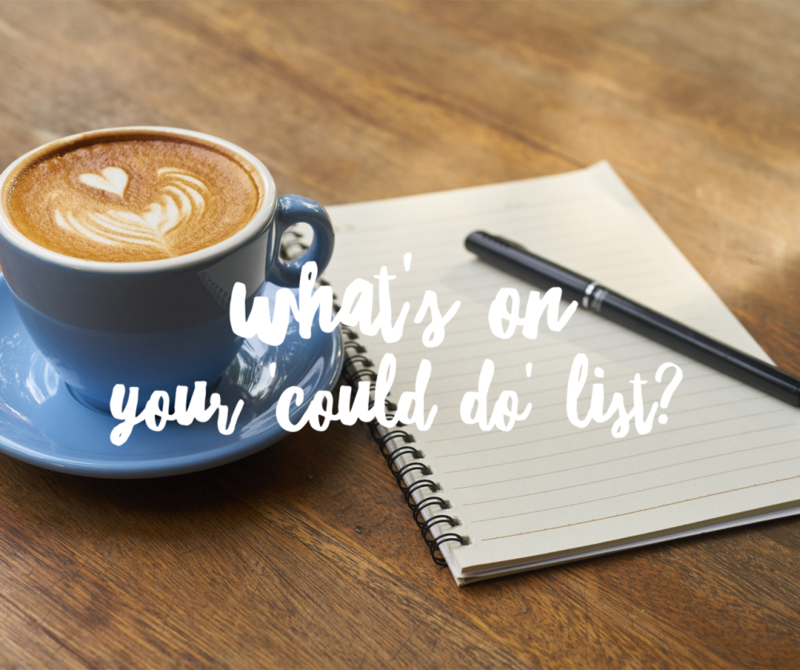 Think of all those thing that you could do, when you’re not attending to your To Do List of course, and then enjoy ticking them off as and when you get round to them, because, you know, no pressure! What could YOU put on your Could Do List for the summer?